Maurice Cauchi was born in Gharb, Gozo, Malta, studied at the Lyceum and Royal University of Malta and graduated M.D. in 1961. The following year he proceeded to the UK where he obtained his M.Sc and Ph.D in Cancer Research at the Royal Marsden Hospital, University of London (1967). He proceeded to Australia (1969) where he held several senior positions at Monash and Melbourne Universities. He was also Director of Haematology and Immunology at the Royal Women’s Hospital (Melbourne). He returned to Malta in 1992 as Professor of Pathology where he was also Chairman of the Bioethics Consultative Committee (Ministry of Health), and Chairman of the Gozo Health Council (Ministry for Gozo). He returned to Australia in 2003. He has been active within the Maltese Community as well as the Ethnic Communities’ Council of Victoria and more recently the Federation of Maltese Living Abroad, and the Council for Maltese Living Abroad. He has been involved in setting up several newsletters and websites, including one for the Migration museum (www.maltamigration.com). For his services to the community he was made a Member of the Order of Australia, (AM, 1991) and awarded the Medalja għall-Qadi tar-Repubblika (MQR), (‘Medal for Services to the Republic’ of Malta, 1992). 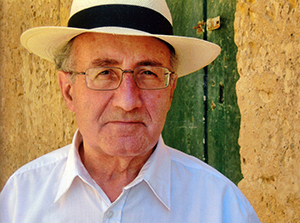 Prof. Cauchi has been involved with the Maltese community for decades, first as President of the Maltese Literature Group, and then as member of the Maltese Community Council, including several terms as President. He has also been interested in the wider ethnic issues, and was member of a number of ethnic organisations, including the Ethnic Affairs Commission of Victoria, Chairman of the Ethnic Communities’ Council of Victoria, and Chairman of the Commission for Maltese Abroad. Under One Umbrella: A History of the Maltese Community Council of Victoria 1958-2008 (2009). He has also published over 100 scientific publications as well as monographs relating to science and medicine.